This painting pays homage to the beauty that surrounds us in our daily lives. The incredible display of beauty has and will always be present, patiently waiting to be recognized. I was lucky to have this realization only after my life was challenged with vision loss. Through the unfortunate experience of losing my vision, I was able to begin to appreciate the beautiful moments that many people are still blind to by looking past the inconvenience of an out of focus night scene, the absence of the detail on the street signs and the blurred faces of the people passing by, and noticing the beautiful glared lights dancing across the wet pavement. I only hope that you are able to see this beauty that our world has to offer, whether it is the changing of the autumn trees, the red of a cardinal perched on a branch, a summer bike ride, the innocent smile on a child’s face, or the glared lights dancing across the night. Adam Kolp was born in Westerville, Ohio, in 1978. As soon as he could hold a pencil, he started drawing and doodling. 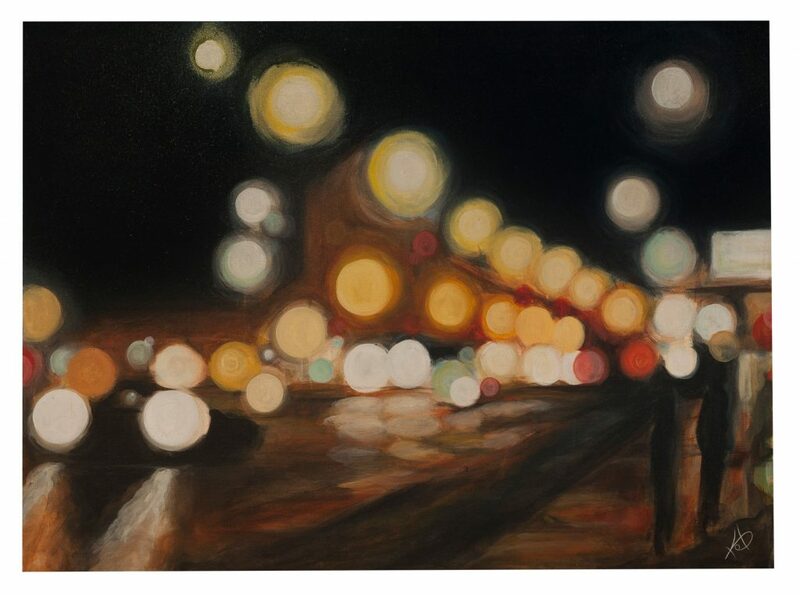 Adam’s desire to create led to a childhood dream of becoming an artist. 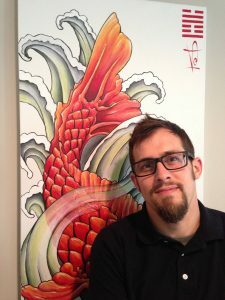 Adam graduated from Westerville South High School in 1997 and continued on to study Visual Arts at Otterbein College. While in high school, Adam was diagnosed with Kerataconus, an eye disease that affects the structure of the cornea and causes vision issues. During his time at Otterbein, he had two cornea transplants. In 2002, while preparing to graduate with his degree in Visual Arts, he decided to return to Otterbein College and pursue a degree in education so he could share his love of art. He was hired by New Albany-Plain Local Schools in 2005 after receiving his education degree and is still serving as a middle school art teacher in New Albany, Ohio. Adam enjoys sharing his passion for art with his middle school students so much that his job doesn’t feel like work. Adam also has established himself as a local professional artist, creating many original and commissioned pieces of art work.